The evening will feature a delicious traditional Nepalese buffet, wine, and soft drinks courtesy of Everest Café, Nepalese dancing, Nepali music, speeches and an auction of imported crafts. More information is available here [PDF]. 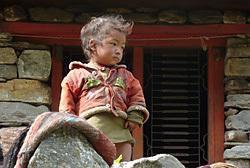 In the first issue of The Himalayan Family Healthcare Project's newsletter, we present our goals for 2013-2015, updates on recent and future medical missions to Nepal, partnerships with various organizations, and other items of interest for our friends throughout the world. Read the issue here. The Himalayan Family Healthcare Project and Saint Louis University have signed an agreement to promote collaborations in the spirit of institutional friendship and cultural, educational and scientific cooperation. The two institutions will work together to identify and achieve shared objectives for enhancing professional training, education and research opportunities in Nepal, especially the Manang District. 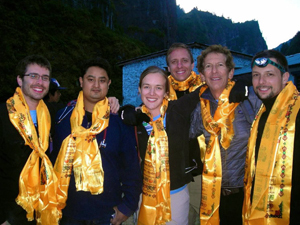 In late October through early November of 2012, a team of 37 medical professionals and volunteers from the U.S., Austria and Nepal assisted in a medical mission in Thonche, Nepal. We treated over 500 patients for a wide variety of health issues (eye, medical, dental, etc.). This is a weekly program on KPLR-TV Channel 11, which highlights some of the St. Louis, Missouri region’s most successful businesses. A direct link to the video on YouTube is here. Our section begins at approximately the 20-minute mark. 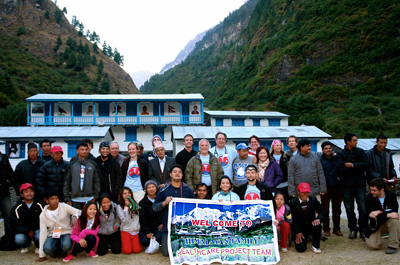 A team of professionals organized by The Himalayan Family Healthcare Project provided comprehensive primary healthcare services such as pediatrics, internal medicine, women’s health, dental and behavioral healthcare for the people of the Manang District in Nepal. In addition, various health-related seminars and lectures to help empower the local villagers were also conducted. Here is a report by one of our attendees on the data collected during this event. 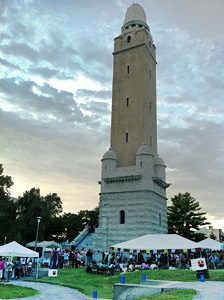 On August 26, 2011 we held an outdoor, evening event at the Compton Hill Water Tower and Reservoir Park in St. Louis, Missouri. While exploring this historic landmark, over 300 guests enjoyed a traditional Nepalese buffet, live music, and beautiful Nepalese dancing. This fundraiser was held to raise awareness of our upcoming medical trek. We thank all of those who attended as well as David Null, chairman of the event, Joe Grimaud, our MC, and our many great volunteers! 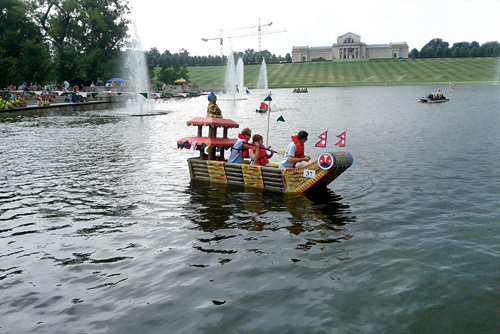 On Saturday, July 30, 2011 HFHCP participated in the 2nd Annual Wings of Hope Cardboard Boat Race, held at the Grand Basin in Forest Park, St. Louis, Missouri. 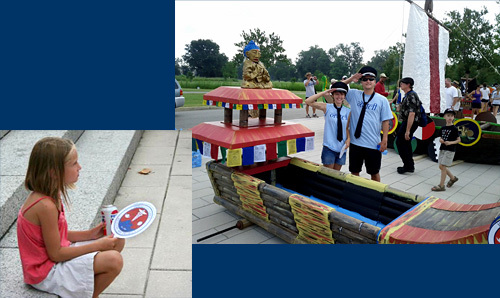 Although we did not win the race, we had lots of fun, met new friends, and sold many HFHCP T-shirts and fans (the fans were a big hit on such a hot day). Our captains were Joseph Torretta, Candice Perdan and Mark Winkelman. 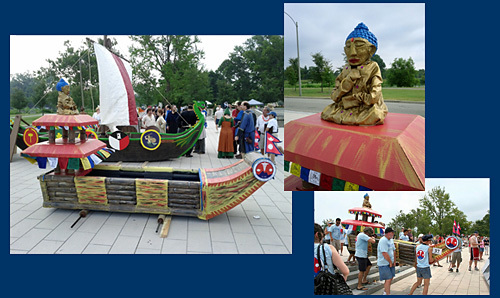 Special thanks go to John Torretta, the designer and building of Buddha's Barge. 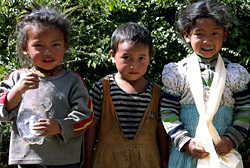 The Himalayan Family Healthcare Project, and Dr. States' inspiring personal story, were featured in The St. Louis Post-Dispatch on July 25, 2011. A direct link is here. On November 8, 2010 we held our first event to raise awareness of the project and seek support. Through the generosity of our guests and the hard work of our volunteers, the evening was a success. 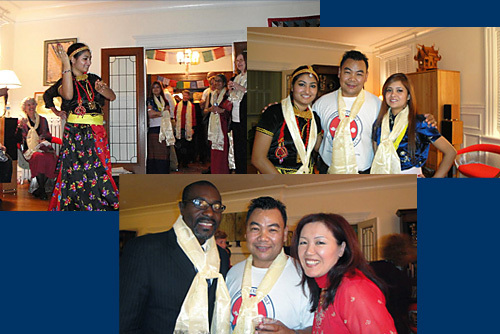 Special thanks go to Dr. Melissa Marshall and Mr. Eric Jacobs for graciously opening the doors of their home to such a large crowd in order to host the event; to Pratima, Anu, Rajive and Asis for bringing the beauty and grace of Nepalese music and dance to a living room in St. Louis; to Everest Cafe & Bar for preparing and donating all of the delicious Nepalese food; and to the companies and individuals who donated items for the auction, as well as all of those who bid on those items. 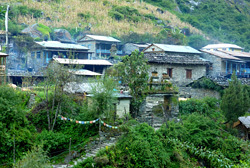 Your continued support will bring much needed medical services to a kind, remarkable, inspiring people in remote Nepal. In Autumn, 2010, two members of the U.S. Board of Directors, Dr. Melissa Marshall and Mr. Randall Siefert, joined the organization's founder, Dr. Devi Gurung States, for a kick-off celebration in the beautiful village of Thoanche, where our hospital will be built. 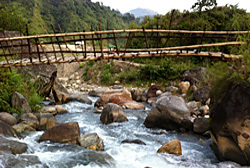 Located at the confluence of the Marshyangdi and Dudh Khola Rivers, Thoanche (at an altitude of about 6,500 feet) is within the Annapurna, Nepal's first and largest conservation area. 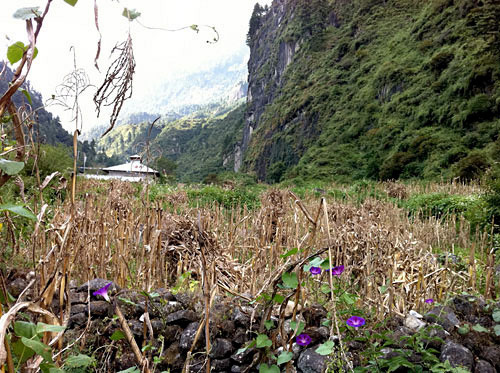 The remoteness of the area our hospital will serve is astounding. The first full day out of Nepal's capitol, Kathmandu, comprised a long journey by bus followed by a bumpy ride by jeep until late evening. The hike to Thoanche was about a day and a half (our timeline was intense, so we trekked ten hours with heavy packs on the first day alone). We crossed footbridges over rapids, passed lines of donkeys carrying supplies, and rested amidst waterfalls by our narrow, rocky path. Our mission on this trip was to meet the people our organization will be serving and to view in person the various options for hospital land sites and make our recommendation to the full Board as to the most ideal locations. We were greeted by representatives from all of the villages in the region. About 300 people were present. 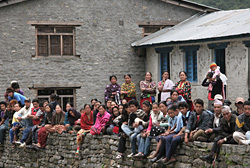 Community leaders gave passionate speeches regarding the need for healthcare in Manang. 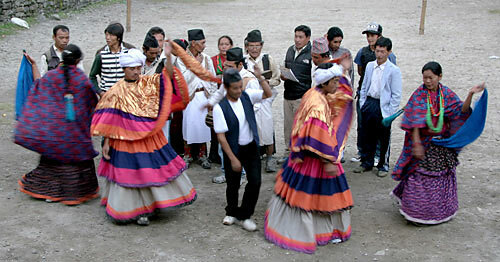 There was a wide range of singing and dancing, representing each major cultural group. It became clear to us that the level of gratitude and commitment to this project by the local people was tremendous and sincere. During our time in Manang, where we had the honor of visiting the homes of many residents of several different villages, we saw a wonderful openness, generosity, sense of family, strength, and a simple resourcefulness in such a rugged, unforgiving land. But we also saw a real need for medicine, trained healthcare professionals, and a hospital. 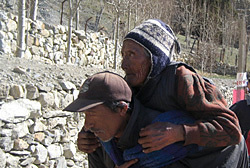 The Western trekker who breaks a leg or gets frostbite while mountain-climbing has (with luck and the several thousand dollars needed) the ability to call for an airlift to Kathmandu. But we saw and heard firsthand what happens to the local people, living primarily at a subsistence level, when problems occur during childbirth or with chronic disease or with the full spectrum of illnesses that would be easily treatable from a nearby doctor with medical equipment and supplies. The experience for us was humbling, moving, productive, and unforgettable. 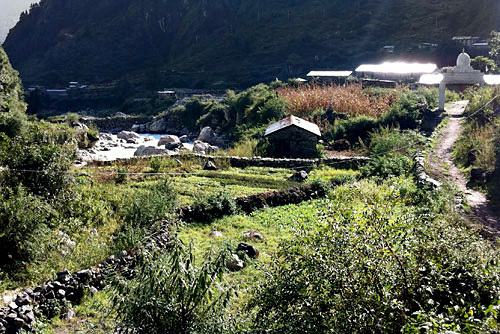 We look forward—with your help—to building, staffing, and maintaining a quality medical facility in this beautiful part of Nepal.